In Music Room tapestry we see the work of Biltmore Estate. 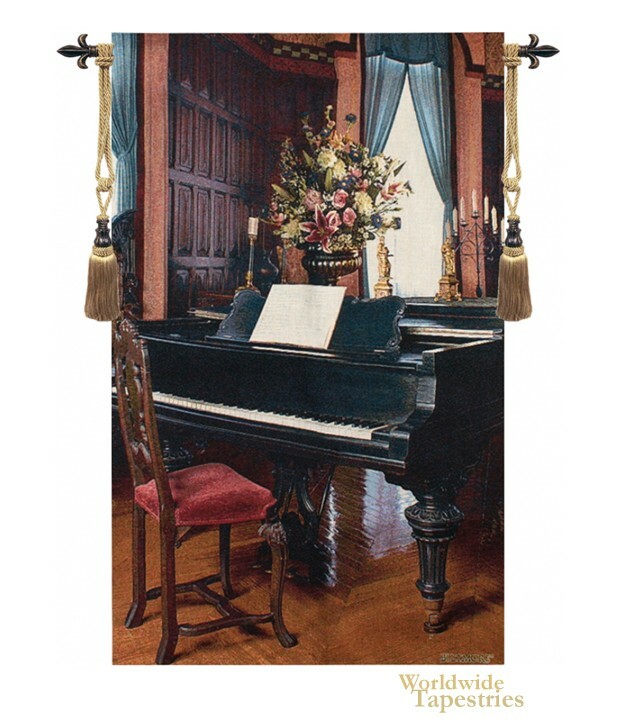 In this piano tapestry we see a grand piano in a room filled with paneling, curtains, candlesticks and urn filled with flowers in bloom. This wall hanging brings a sense of music and refinement. This Music Room tapestry is backed with a lining and a tunnel for easy hanging. Note: tapestry rods and tassels, where pictured, are not included in the price. Dimensions: W 34" x H 52"